With a wide range of characters, images, and designs to choose from, we have something to challenge every young puzzler, ages four and up. 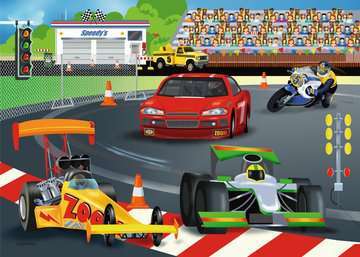 Assemble 60 durable pieces to spectate speedy cars on race day! With sturdy pieces that are easy to hold and manipulate, but strategically designed to offer a bit more of a challenge, little ones become puzzling pros. 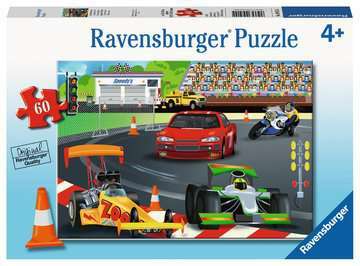 A completed Ravensburger 60 piece puzzle measures slightly larger than a piece of legal paper and features strategically selected imagery for a perfect unplugged challenge at home or on the go.